Is Aviva-Desjardins fraud collaboration the dawning of a new era? Canadian Underwriter	Is Aviva-Desjardins fraud collaboration the dawning of a new era? 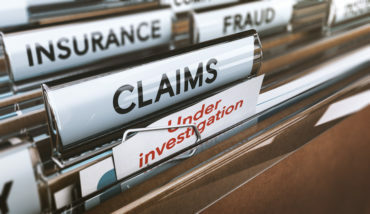 Could an insurance fraud collaboration between the second and third largest insurers in Canada herald the beginning of a broader trend across the industry? John Bordignon, a spokesperson for Desjardins Insurance, the country’s third-largest insurer by market share, also hopes there will be more collaboration between insurers on fraud. “Insurers are increasingly collaborating to identify and investigate fraud, and it needs to continue,” he said. The joint investigation between the insurers followed a vehicle collision in March 2018. After the accident, Desjardins determined the policy number and liability slips were not valid. The victim provided Desjardins information about the person who allegedly sold her fake pink slips from The Personal, part of Desjardins. The so-called “ghost broker” who sold the fraudulent insurance has been charged with two counts of fraud under $5,000 and two counts of providing false documentation. For Desjardins, the joint investigation helps raise awareness and educate the public about fraud. The goal is to ensure that consumers are working with reputable (and licensed) agents or brokers, thereby protecting them from becoming victims. What are some of the challenges when it comes to partnering with other insurers on fraud investigations? 2 Comments » for Is Aviva-Desjardins fraud collaboration the dawning of a new era?